This is a short, fast paced and entertaining read. Matt is very much a take charge and take action kind of guy. He is very capable in the jungle and can handle anything that comes his way. That is until he meets Becca who is a walking disaster and needs rescued at every turn. She doesn't appreciate his cave-man/Indiana Jones attitude and the pair constantly bicker and snipe at one another. It doesn't help that they have to share accommodation. It was fun watching these two argue whilst trying to ignore their attraction to each other. 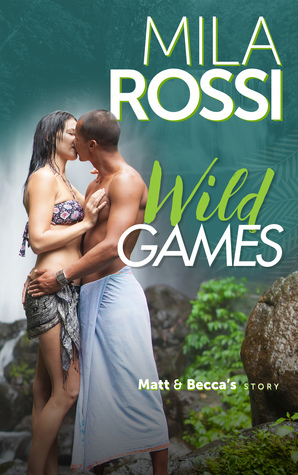 I haven't read many books with a jungle theme but I felt that it worked well in this story. I'd recommend Wild Games for anyone looking for for a quick romantic read.